6,000 years ago there was Doggerland, a landmass that linked Great Britain to the continent. It was inhabited right up until Neolithic times. Then, as the ice melted, Doggerland was submerged and the North Sea was born. Since the beginning of history the sea has divided us but also brought us to each other´s doorsteps as we crossed it in search of land, trade, adventure and plunder. 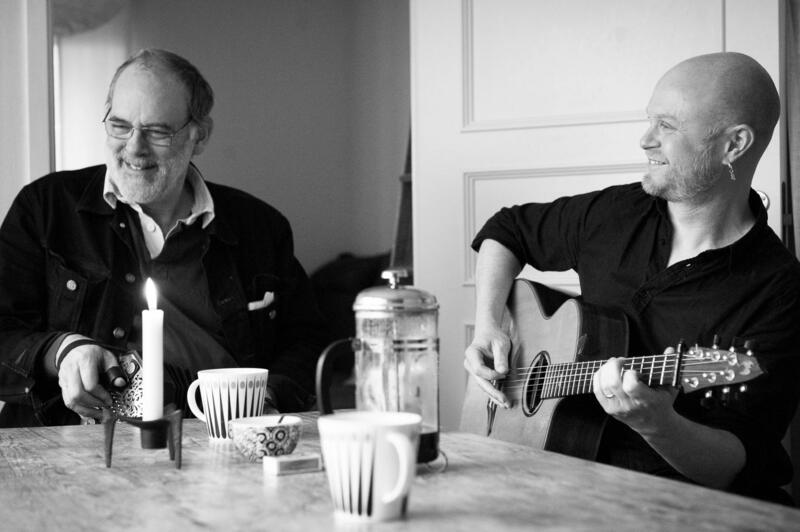 The folk duo Doggerland of Norway-based Englishman Richard Burgess and Swede Anders Ådin. They started playing together in 2005. It was a meeting between English and Scandinavian folk music, between powerful singing and delicate guitar playing, between concertina and hurdygurdy – and it worked! They have since explored this musical landscape both as a duo and in collaboration with other musicians. Doggerland’s focus is on the common musical heritage of the North Sea and the lands around it. Their unusual line-up, their innovative musicality and their infectious enthusiasm result in a unique musical experience where rough shanties meet polished polskas and the forest meets the ocean. They call it North Sea music.